Grabbing a really good bonus will always be one of the easiest ways for you to boost your profits while betting on League of Legends. Unfortunately though there aren’t that many that fit in the category of actually being really good. Usually there’s something that brings down the overall value of the bonus, such as high wagering requirements. 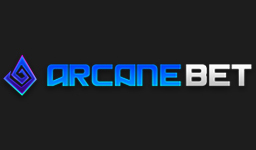 This is why we have created this page with all of the best welcome offers you can find for League of Legends. Every LoL bonus that you find listed here is a highly valuable one that can help you boosting your bankroll. If you haven’t already, check them out above, we guarantee that you won’t be disappointed! As with all good things in life, the above welcome bonuses unfortunately won’t last forever. They’re only offered to new players and as it isn’t allowed to have more than one account created with the betting operators you’re only able to take part of them once. This does however not mean that you can’t still take part of LoL bonuses to increase your chances of making a profit. 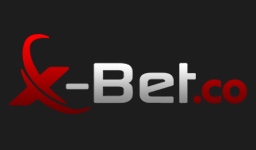 One way to extend your value is to check out our full list of eSport betting sites and grab each and every welcome bonus that these sites offer to new players. Another way is taking part of temporary campaign offers. 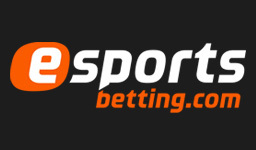 These are bonuses that eSport operators offer to already registered players for a limited period of time and which can be anything from a deposit bonus to a free bet, competition with prizes or a cashback on your recent losses. At eBetFinder we regularly search the net for these types of temporary promotions and gather them all in a dedicated bonus section. By visiting this you’re always able to get your hands on the latest bonuses that eSport operators offer without having to do any time consuming work yourself. We have every promotion explained and include any LoL bonus code needed should there be one. While it’s true that some bonuses, whether we’re talking about welcome offers or temporary promotions, have a lower value than others they can all be profitable taking part of. As you may already know, there are a few different factors that can affect the value of a betting bonus for LoL, but the one that is generally considered to have the biggest impact is the wagering requirement. This includes how many times the bonus (and sometimes deposited amount) has to be turned over and what the minimum odd on the bets placed has to be for them to count towards the wagering. A high minimum odd is always interpreted as bad as the higher the odds an outcome has been given the more unlikely it is that this outcome will actually occur. It’s therefore commonly understood that the more bets you have to place on such an outcome (that is the number of times the bonus has to be turned over) the more likely it is to be losing. Because of this, some bettors stay away from bonuses with high wagering requirements. As much as this can be a smart move, it can also be a way to give up important value, because a high wagering requirement doesn’t necessarily mean that you’ll be more likely to lose, at least not in the long run. Betting on an outcome with high odds such as 2.50 can be just as profitable as betting on low odds such as 1.15. What determines your results in the long run is simply how you pick the matches and outcomes that you bet on. As long as you only place bets that are profitable for you any bonus, no matter the extent of the wagering requirement, can be valuable taking part of. So what exactly is a profitable bet? This is something that we have carefully explained and which you can read all about in our section of LoL betting tips. A valuable welcome offer is always the perfect way to get your betting started on the right foot, but reading about the top 5 LoL sites is also recommended to learn about the overall best places for LoL betting.